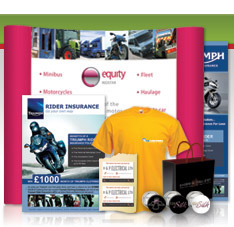 We provide an extensive marketing and advertising design service including flyer design, leaflet design, tri fold brochures, booklets, posters, corporate Christmas cards, roller banners, media adverts and more. It is important to convey the right image when introducing potential customers to your company brand and services/products, which is why our expert marketing designers create marketing material to a very high standard. Get It Right..! Your Marketing Design Is Important. We have created marketing designs for small and startup business all the way up to medium and blue chip organisations. Our designers take pride in their work and always strive to create the very highest quality designs for our clients, whether a simple flyer, multi page brochure, corporate Christmas card or something completely different. Browse the sections below for more details or view our design portfolio of satisfied clients. 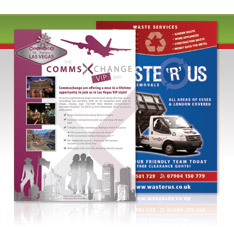 Our creative team can design flyers and leaflets to meet almost any specification. From a standard single-sided budget promotional flyer, to a creative double sided leaflet with your design brief in mind. 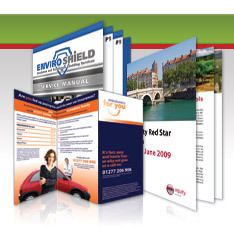 Our creative graphic design team can design any style of brochure, booklet or folder to suit your requirements and will work closely with you to ensure the finished product exceeds your expectations. We can design artwork for any style of promotion and to any specification. If you have a vision in mind our team can make your vision a reality. Alternatively, if you're not too sure and need some help, our friendly team are on hand to provide advice and assistance, as well as our creative ideas.